[New York, NY – June 6, 2018] Today, seven-time Grammy Award winning blues icon Buddy Guy releases a brand new song “Cognac” featuring music giants and Buddy fans Jeff Beck & Keith Richards. 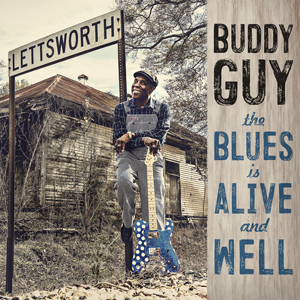 The song is the third track released from Buddy’s forthcoming album THE BLUES IS ALIVE AND WELL, set for release June 15th on Silvertone/RCA Records. Buddy previously released two other tracks from his forthcoming album to much critical acclaim. In addition to Jeff Beck, Keith Richards and James Bay, THE BLUES IS ALIVE AND WELL features another guest appearance by Mick Jagger on “You Did The Crime.” Grammy Award winning producer/songwriter and longtime collaborator Tom Hambridge produced the album.